While tracking down the men behind a DarkNet online site where murder is available for barter, FBI Agent Sean Reilly crosses paths with a man who claims to know the truth about the death of Reilly’s father, back when Reilly was ten. A death that had been considered a suicide—until now. In chasing after the potentially devastating revelations about his own past, Reilly awakens other dormant monsters—a cabal of assassins whose unusual methods have escaped detection for decades, whose victims have spanned continents, and whose leaders would rather remain hidden in the shadows. At any cost. Watched, manipulated, and framed for crimes he didn’t commit, Reilly becomes a fugitive, making it next to impossible for him to uncover the truth while protecting his family. He’s left with no choice but to risk everything to unearth secrets that would shake the country to its core—if he were ever allowed to get that far. 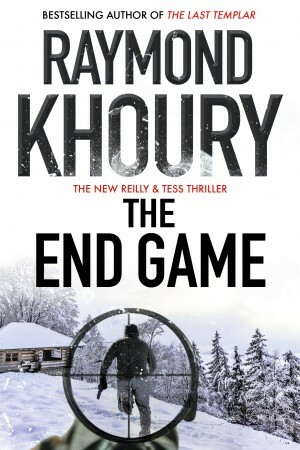 Buy THE END GAME and dive into Reilly’s most personal—and most dangerous—story yet.